Author KevinPosted on September 23, 2011 Categories Blog postsTags album, Fly From Here, HMVLeave a comment on Fly From Here promoted in HMV! 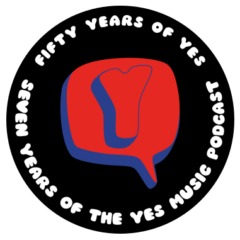 Well, it took a while but the Yes Music Podcast is now available via iTunes and searchable. Check out the other podcasts as well – we are in good company! If you haven’t already, please subscribe so you won’t miss an episode. Use iTunes, an RSS reader or email – it’s up to you. Just click the right link in the sidebar. Many thanks for your support of the podcast and the greatest prog rock group in the world! Author KevinPosted on September 23, 2011 Categories Blog postsTags iTunes, podcast, prog rock, progressive rock, subscribe2 Comments on Yes Music Podcast on iTunes!